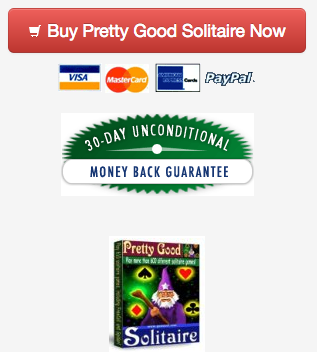 We have a brand new section of our site with online solitaire games at http://www.goodsol.com/play . Currently, there are 16 solitaire games you can play online. The games are Klondike, FreeCell, Spider, Golf, Pyramid, Eight Off, Yukon, Aces and Kings, Cruel, Scorpion, Canfield, Australian Patience, Free Fan, Klondike 1 Card, Spider One Suit, and Spider Two Suits. The games have limited features, but allow undo, redo, and restarts. In addition, you can have it keep statistics (this requires that you have cookies enabled in your browser). Many of the games also have right click quick move. In addition to the games listed above, we will be adding a new game every day for some time, so keep checking back to the site. 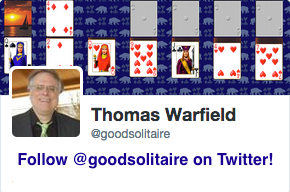 Pretty Good Solitaire, Pretty Good MahJongg, and more. Visit us at http://www.goodsol.com . List Archive: http://www.goodsol.com/newsletter.html#archive . View past newsletters.